Welcome! 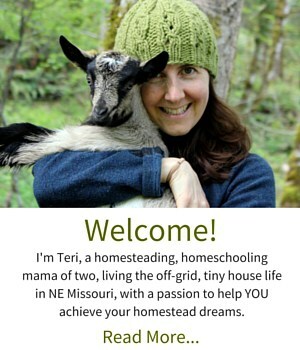 If you’re looking for information about building a tiny house, or a real-life example of the tiny house movement in action, you’ve come to the right place! 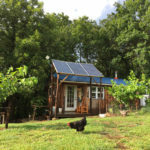 We live on a completely off-grid homestead in NE Missouri with our two young children, and our 350 square foot tiny house was built by my husband over the course of a year and a half. 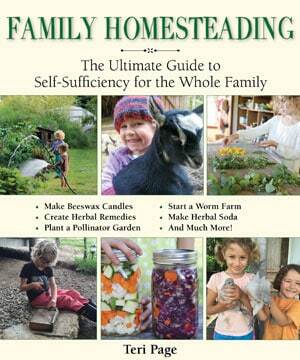 I’ve shared the process of building our homestead from scratch on this blog. 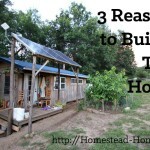 This great infographic was generously shared with me by the folks at CustomMade.com and illustrates some of the many benefits of living in a tiny house! What do you think? 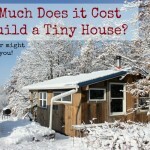 Could you downsize to a tiny home? I once read another definition of a tiny house being less space than you think you need. 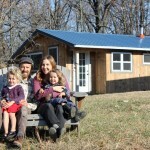 A family of four just barely fits into a 350 square foot house, as I’ve discovered. A 800 square foot house would be perfect for us, even spacious, and still quite tiny. Best of luck with your tiny adventure! Yes, it’s true. We’re trying to find a nice balance between the space that we’ll need now and the space we might need later. I am 65 y/o, single, and pretty tiny myself. I love the idea of a tiny house. My only problem would be my many books. 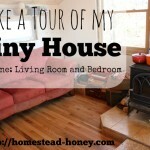 Are there tiny house plans for book-worms like me? I think you have to do what we have begun to do – create shelving everywhere! We love books also, and currently have many of our books in boxes in a shed. It’s so hard to know they are out there, difficult to access.